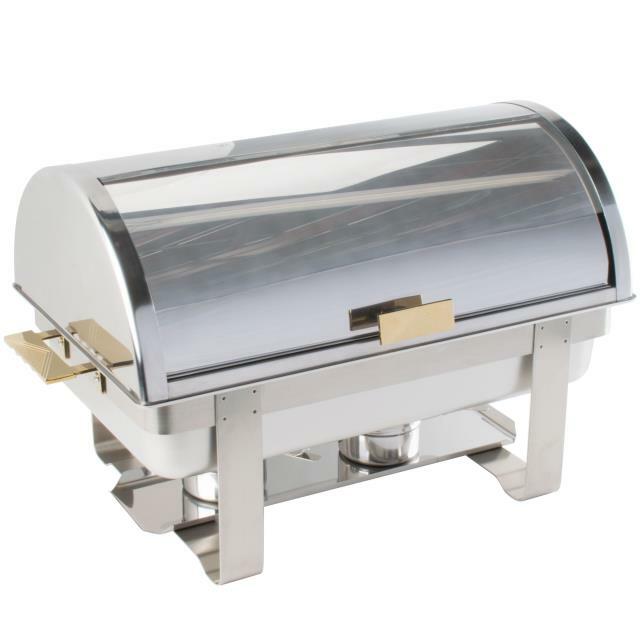 Create an eye-catching presentation for your most popular foods at your buffet or self-serve area with this 8 quart Deluxe roll top chafer! The dripless water pan helps to collect moisture while protecting tables and counters from water drips. Made of highly-polished stainless steel with stylish gold-accented handles making it ideal for weddings, ceremonies, and formal business events. 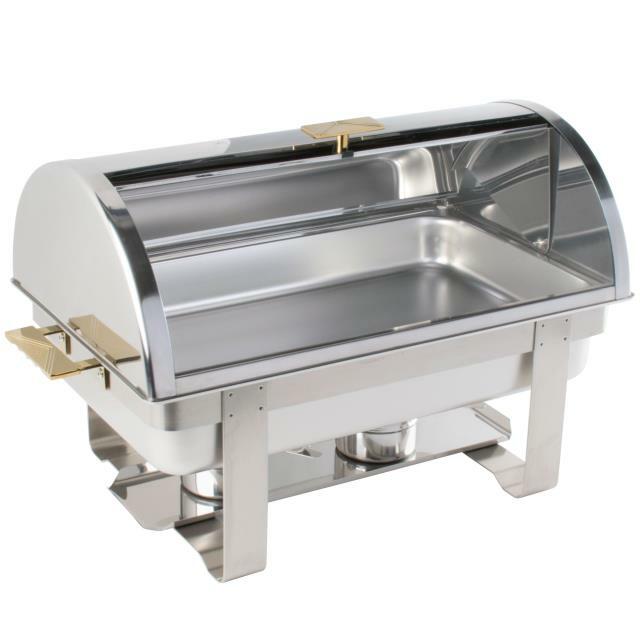 Inside Pan= 11 3/4" x 19"
* Please call us for any questions on our chafer full size roll top rentals serving Corvallis OR, Albany OR, Salem OR and surrounding areas.